Our lead nurse and nursing team are in charge of our infection control here at Barwell and Hollycroft Medical Centres. We strive to deliver up to date evidenced based practice, complying with national guidelines (NICE, CQC, Epic 3, and Public Health). We have recently updated our IPC policy and this can be provided on request, please speak to our nursing team who can support you with your query. An antenatal clinic is held weekly on Tuesdays at Barwell and on Fridays at Hollycroft. It is important that you are seen by the midwife at your usual site. These are generally undertaken by one of the nurses. Ladies between the ages of 25 and 49 will routinely be called by the health authority (not the surgery) every 3 years. Ladies between 50 and 64 will be called every 5 years. Some of the GPs in the practice carry out minor surgery at the practice. Skin tags and small cysts as well as joint injections can usually be done in the surgery if required. Please ask at reception. 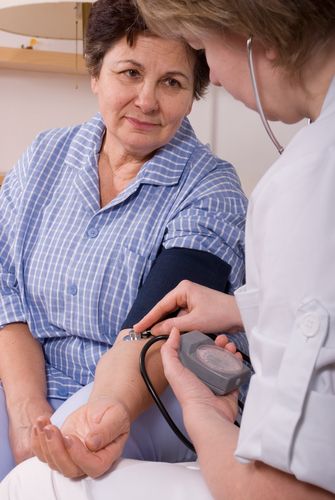 We are offering patients aged between 40 - 74 a cardiovascular health check as long as you haven’t already *got high blood pressure, Diabetes, Kidney Disease, Heart Disease or had a Stroke. This involves coming in for a blood test followed a week or so later by an appointment with one of our Health Care Assistants to take your weight, height, blood pressure and to answer some lifestyle questions. They will then assess your risk of a developing Heart Disease, Type 2 Diabetes, Kidney Disease or having a Stroke. If you are at a high risk they will advise you to see the GP who can discuss lifestyle changes and medication options with you. If you would like one of these please ring up reception and ask for an NHS Health Check. *this list in not extensive - please contact reception to see if you qualify.